Welcome one and all to Pittsburgh Underground and another edition of Fundays at 420! In last week's Funday article we featured many of the great television panels that were featured at the 2014 San Diego Comicon International. This week, we wanted to continue with panels from the big screen! Lot's to look forward to from all the big studios - Marvel, Warner Bros, New Line Cinema, DreamWorks, and more! 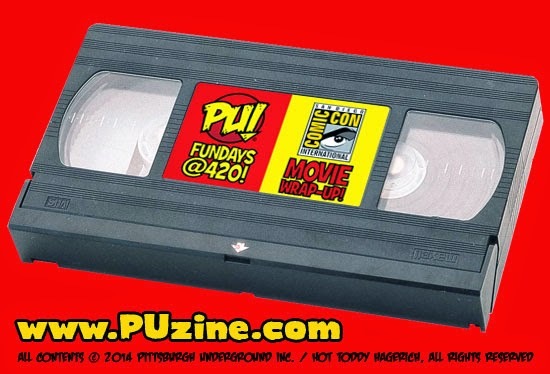 So as always, sit back, relax and enjoy some fun with PU Fundays at 420 San Diego Comicon 2014 Movie Wrap-Up!